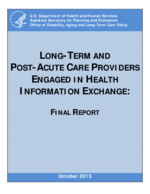 The availability, use, and exchange of information capabilities are crucial for a Beechwood to begin care and coordinate care with other service providers. Information exchange occurs in multiple different methods -- via phone, photocopies, fax and e-mail as well as through access to the hospital EHR, customized portals and the HIE. This section describes the providers that were interviewed during the site visit, describes both the internal Beechwood view of HIE activities and the point of view from Beechwood's community partners. 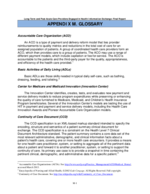 HIE information flows are summarized in a matrix at the end of this section. During the site visit, interviews were conducted with Beechwood staff to discuss key processes/workflows that require the exchange of information. Interviews were conducted with the department representatives from admissions, nursing, social service, rehab, Medicare liaisons and billing, and HIM. Based on the interviews Table I-3 summarizes discussions by workflow process, highlights the information exchange process, and shares other notes/insights. Preadmission/ Admissions Admission provides daily updates to the area hospitals with the number of beds open. Currently this information is relayed by telephone to hospital discharge planners to facilitate relationship-building & enhanced communication. Internally, the Admissions staff sends electronic documents (e.g., PDF) of hospital medical record information as attached to the electronic admitting notice sent to Beechwood departments to ensure they have pertinent information to start care. The admissions department has the ability to log into 1 of the area hospitals EHRs through portals to assist in the admission process. This is useful for updates during a patient's stay. Another area hospital does not have the capability for remote access to the EHR through a portal (must be on-site). In this second hospital discharge planners must use extra steps to make information available remotely to support the transfer/preadmission process. Frequently the information is not updated & there have been delays with the decision-making & discharge process. At times the hospital discharge summary is not available at the time of transfer from the hospital & admission to Beechwood. Sometimes the hospital will fax the discharge summary after admission to Beechwood or the HIM department will request the missing information from the hospital. This process requires Beechwood to complete a written request for information from the hospital & may take significant time to receive. HIM will begin using HEALTHeLINK to check for availability first & then use the written request process if the information is not available. Patient's long-term goals for the patient (such as returning home or to their prior living environment). Physician Order process including Medications The nurse manager contacts the physician typically by phone to review admission orders from the hospital & obtain new verbal orders. The orders including medications are written out & sent by fax to pharmacy. HIM manages the physician order signature process by sending the orders to physicians & tracking for their timely return. This includes verbal/telephone orders initiative by nursing & therapy as well as regular orders. The physician is mailed the order to obtain his/her signature or kept in a folder at the Beechwood front desk that the physician picks up & signs when he/she is at the facility. Beechwood is working on a project to communicate physician orders including medications to the pharmacy electronically through AOD. 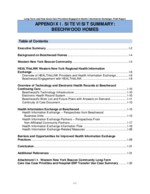 Beechwood is looking into the use of a physician portal to AOD to provide a mechanism for physicians to log into Beechwood's EHR to sign orders & complete documentation. Status updates to the physician Nursing communicates status updates to the physician via multiple routes--phone updates, folder for followup during routine physician visit. The status updates are communicated for many reasons such as change in the patient's condition or communication of a lab or test result. Physician visits HIM maintains the regulatory required physician visit schedule & communicates with the physician by mail notifying them when their patients are due for a visit. Lab & Special Tests Lab & radiology/ultrasound physician orders are communicated to the providers by telephone. Results are delivered in multiple ways depending on the service provider--by fax, by mail, via a dedicated printer sent from the provider to Beechwood, access to results on the provider's web portal, or through HEALTHeLINK. An interface is under development to delivery results through HEALTHeLINK directly into AOD. Nursing Patient Referral to Specialist A referral document is completed by nursing in paper format & sent with the patient when scheduled for a specialist visits. The specialist returns a refer/consult visit (either a paper form that comes with the patient or mails the consult report to Beechwood after completion). Transfer to the Hospital At transfer to the hospital from Beechwood, nursing completes the INTERACTII envelope of information & sends information to hospital with the patient. (This is a paper-based process at this time). The INTERACTII envelope includes the following information: transfer form, face sheet, recent H&P, recent physician orders, current MAR, advanced directives & care limiting orders, relevant lab/radiology reports, & personal belongings sent. 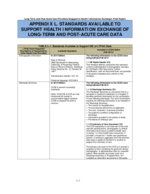 INTERACTII is used; however, nursing is not using the SBAR because of the amount of time to complete the information. Administration has identified this process for re-evaluation & completion in AOD (the capabilities are available in AOD, but Beechwood has not begun using this functionality yet). Physician orders are written to evaluate & therapy evaluation/certification either mailed to physician for signature or kept in a folder at Beechwood that the physician picks up when he/she is at the facility. Physician orders (such as equipment, treatment changes) are called to physician as a verbal order. The order is written on paper & mailed for signature or kept in a folder at Beechwood that the physician picks up when he/she is at the facility. Rehab develops a written summary (on paper) for a doctor/specialist consultation that includes information on the patient's status such as an update on wound healing or orthopedic rehab progress. The information is provided with the referral when a patient is sent to a specialist. Rehab receives a copy of the consultation report/result. This information is typically returned with the patient (in paper format) or mailed to Beechwood. It is important for therapy to have an accurate picture of the patient, their condition, & their goals before they begin treatment. At times they do not have all of the information they need to assess the patient's status at admission if hospital records were not sent or available at transfer. Therapy has not been using HEALTHeLINK, but will be trained. When information is needed they ask the HIM department to request the information from the hospital (often it is the operative report). Paper copies are returned by mail. Medicare Coverage Determinations & Communication with Family The Medicare nurse evaluates the patient for coverage, makes coverage decisions & communicates with the interdisciplinary team by e-mail. They monitor the patient's status over time & make continued coverage decisions. The Medicare nurse verifies insurance coverage & related coverage criteria, they communicates by e-mail coverage & clinical criteria to interdisciplinary team. 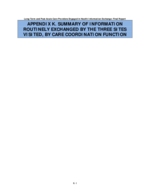 The Medicare nurse develops monitoring tools for nursing such as clinical flow sheets & documentation guidelines for nurse's progress notes (this information is not in AOD). The Admissions Coordinator sends an update to pharmacy, ultrasound/radiology & lab via fax regarding Medicare coverage. When lab & test results are returned, they receive a paper copy from the unit coordinator (the information not in the AOD system at this time). The Medicare nurse monitors the patient's status for continued coverage. They review the Nursing 24-Hour Reports are maintained in AOD & alerts/messages sent designated staff. The Medicare nurse communicates with patient/representative at end of coverage by telephone & with a written letter that specifies the end of coverage date & appeal information. The Medicare nurse communicates with Medicare HMO case manager sending status updates & continued coverage information (e.g., the type of skilled nursing or rehab services the patient is receiving). These updates are by phone & fax. The HIM department mails the Medicare Certification/Recertification form to the physician for signature according to the required schedule while the patient is on Medicare. The physician signs & returns the certification by mail. Some physicians who see patients at Beechwood routinely have a folder at the front desk that holds the orders & forms that require their signature to eliminate the mailing process. Monitoring tools/guidelines are developed & kept in a notebook at the nursing station. 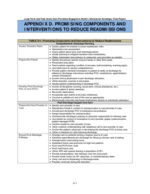 This process has been identified for evaluation by the IT team to determine opportunities to utilize AOD more fully for incorporation of customized flow sheets & documentation guidelines related to Medicare cover. Beechwood reported an increase in the number of patients with Medicare HMOs (e.g., Medicare Advantage). These plans have different coverage criteria & 2 no longer require a 3-day hospital stay. Medicare nurses communicate with coverage & change of status updates. They use the nursing 24-hour report & therapy reports as tools to identify patients with new conditions that would affect coverage. Care Planning & Communication with Family Social service communicates with the family on admission & during multiple times during the patient's stay--this communication is typically by phone, mail & sometimes e-mail based on family preference. They provide written information mailed to the family on care conference dates & provide an update of the care plan team's recommendations if they were not present at the conference. The social service department uses the AOD system for their documentation including progress notes & assessments. They also use HEALTHeLINK for additional supporting documentation in conducting their initial assessment & care plan. Discharge Planning & Discharge Process They also work with the family in planning for discharge. The communication is primarily by phone & mail. They review teaching & instructions with patient & family at the time of discharge & provide a paper copy of the information. Discharge instructions are developed for the patient by nursing, therapy, social service & other members of the interdisciplinary team. The instructions are reviewed with the patient & family/caregiver prior to discharge. A copy of the discharge instructions are sent with the patient. Social services may assist with the transition home by identifying HCBS. They may also initiate services on behalf of the patient/family. Typically they communicate via telephone & fax with the community service provider. Census/ADT Events HIM enters the census/ADT events in the AOD systems each morning for the prior day ending at midnight (e.g., ADTs, room changes). Certain ADT events used by the HIE are electronically communicated from AOD to HEALTHeLINK. Medical review & other requests such as RAC audits require mailing of copies of medical records. All claims are electronically billed except a select few. Some insurance companies require medical documentation (e.g., workman's compensation or no fault insurance)--documentation is copied & mailed with claim. Request for medical records via e-remittance has been problematic as there are concerns with missing a request (e.g., e-mail printout cuts off information). During the site visit, interviews were conducted with Beechwood's HIE community partners -- non-affiliated organizations that provide health care and/or services. 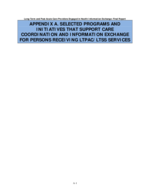 Table I-4 summarizes the key organizations that Beechwood shares information with, identifies the type of information exchanged with each organization, and summarizes discussions on the exchange process and information sent/received. For a transfer from the hospital to Beechwood, the following information is provided. The information is typically in an electronic format such as PDF or JPG. Medication information (medication list & MARs). Lab & other test results. Other clinical information related to nursing, rehab service & functional status (e.g., progress notes & assessments). During discussions challenges were identified with the availability of the discharge summary at the point of transfer to Beechwood. Hospital policy may result in delayed submission of the discharge summary to HEALTHeLINK until after discharge (once physician signature is obtained). When this happens the information on the discharge summary is not available to Beechwood staff at transition of care when it is needed. Significant challenges were identified & discussed related to the availability of accurate medication information at discharge including the ability to reconcile pre-hospital medications with the post-hospital medications. The lack of MAR data was another challenge identified when not provided at transition of care from the hospital to Beechwood. Beechwood staff uses the MARs to evaluate the medications the patient received in the hospital & the time. Update: Discharge meds are now available from the Catholic Health System & will be available from Kaleida by late 2013. Therapy information is not currently received by Beechwood & is an opportunity for HIE. Physician orders including medications are written out by nursing & sent by fax to pharmacy. Treatment Administration Records for the month. Beechwood would like to move toward physician orders being generated in AOD & prefers that physicians enter the orders through their system. This would enable the use of electronic medication administration & treatment records (currently these are paper-based & manually completed). Beechwood believe that this would be the safest approach rather than trying to interface AOD to the physician's EHR. MU may be a challenge since physicians must prescribe a percentage of medications through their system. As noted above obtaining an accurate medication history is a challenge. SureScripts (which supplies information to HEALTHeLINK) does provide a medication history, however not all pharmacies use SureScripts, so the information may not be complete. AOD does not use SureScripts. Lab results are being routed through HEALTHeLINK to the physician practice. Beechwood can access results through the HIE, but there is currently not a direct link to AOD. A custom interface is under development to allow lab results to be electronically delivered into the AOD system. Currently Beechwood maintains lab results in paper medical record. There is potential in the future to order labs through HEALTHeLINK, currently it is a manual process of calling the lab to set up the draw when a physician order is received. To obtain radiology/ultrasound services, Beechwood accesses Buffalo Ultrasound online system or calls in an order. The results are phoned to the facility to provide a verbal update & then the final reports are available online for access. Buffalo Ultrasound maintains a portal for Beechwood to order the test & access the results. Buffalo Ultrasound is currently working on automating the results delivery process through HEALTHeLINK. The order/requisition process will continue as is--Beechwood will either call Buffalo Ultrasound to request the test or submit the request through their portal. Buffalo Ultrasound does not plan on processing requests for tests through HEALTHeLINK due to patient identification issues. The home health & hospice providers were interested in having the information available on HEALTHeLINK if it was feasible for the HIE & for AOD. The Home Health & Hospice providers discussed their HIE needs at transition of care from the hospital. They also need an up-to-date, timely discharge summary at the time of hospital transfer & reported that it was 1 of their biggest challenges in the transition of care process. 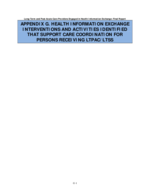 Table I-5 describes the information exchange activities for Beechwood in three areas: (1) hand-offs in care; (2) shared care; and (3) other administrative exchange. The exchange scenarios are not limited to electronic exchange of information, but encompass any exchange workflow. 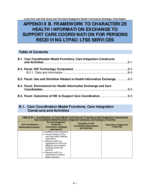 The summary table provides a synopsis of the HIE activities from the perspective of a nursing home/SNF using the framework established by Westat. Preadmission assessment Hospital Stay: Patient is assessed by Beechwood staff while at the hospital to determine appropriateness of placement. Hospital nurse to Admissions in Beechwood. NH to NH: Patient is assessed by Beechwood while at another NH to determine appropriateness of placement. This may occur when a patient or family desires a change in facility. Beechwood admissions & NH admissions. Home to NH: Patient is assessed by Beechwood for appropriateness of placement. Admissions. Patient representative to facility admissions. 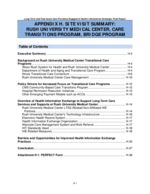 Coordination with physician at Start of Care including Medication Reconciliation & Orders, Evaluation/ Certification & Plan of Care Admission orders & medication reconciliation --review transfer form & hospital information to reconcile medications & establish Beechwood facility orders & initial physician POC. Therapy order, evaluation & certification communicated with physician & mailed for signature. Communicate Physician Orders & medications to Pharmacy Communicate admission orders & medications to pharmacy. Communicate orders for labs, radiology & special tests to service provider & return test results Communicate lab orders to lab provider. Communicate with patient and/or family/ caregiver for additional information & advanced directive Beechwood Interdisciplinary Team interview patient/family for information to complete initial assessment. Create & Maintain Patient's Plan of Care & Orders Regular review & update of physician orders. Paper records mailed for review & signature or available in folder at Beechwood for physician to sign during on-site visit. Care Plan Update with Patient/Family Beechwood Interdisciplinary Team updates to patient & family POC. Ongoing Physician Visits/Evaluation Routine physician visit. Change in condition/status update and/or order change request to the attending physician Change in condition, status updates & order changes. Change in Condition/Status update to Patient/ Family/Caregiver Change in condition, status updates & order changes. Specialist Visit/ Evaluation Specialist visit (surgeon, neurologist, dentist, psychologist, etc.). Communicate physician order changes to pharmacy & order medications Communicate physician order (including medication) changes to the pharmacy & order medications. Order changes for lab, radiology & special tests & return of results Request new Lab or Radiology/Ultrasound or other specialized test. Routine physician order review & recertification Medicare/Medicaid certification/recertification forms sent to physician for signature. Electronic submission of mandatory data sets which includes quality measures Electronic submission of mandatory data set which includes quality measure data. Public health & state registries for reportable conditions Report required data to the State of New York through the state's Health Commerce System for & including required disaster preparedness reporting. This portal also provides messages to from the state such as emergency notifications. Beechwood to State of New York for required reporting. Emergency notifications & other requests for data & communication are sent from the state through HCS to Beechwood. Communication with Payer Case Manager Billing/Medicare Nurse updates to payers regarding initial & continued coverage. 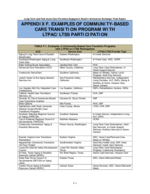 Communication with Ancillary Service Providers for Billing Relay billing information & Medicare/Medicaid coverage status to community providers--pharmacy, lab, radiology/ultrasound. Payer Medical Record Requests Remittance, medical review, or RAC request for medical records.